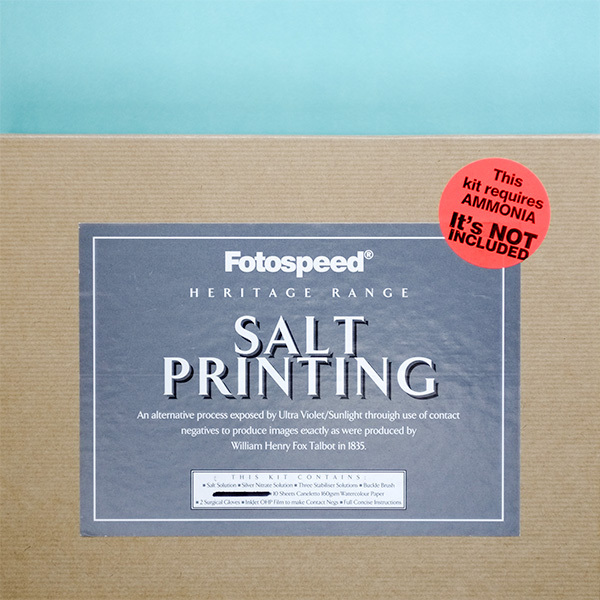 The Fotospeed Salt Printing Kit contains almost everything you need to start making salt prints. Salt Printing is an alternative process that uses UV/ sunlight to expose negatives and produce prints exactly as they were made by William Henry Fox Talbot in 1835. Please note – Ammonia is the ingredient you need to activate the silver solution and is not in the box. This is easily available from most pharmacies or DIY shops on the high street. The Fotospeed Salt Printing Kit has just about everything you need to start making salt prints. You will just have to add ammonia. Salt Printing is an alternative process that uses UV/ sunlight to expose negatives and produce prints. So, you make them exactly as they were made by William Henry Fox Talbot in 1835.